Whirl by Sinevibes is a Virtual Effect Audio Plugin. 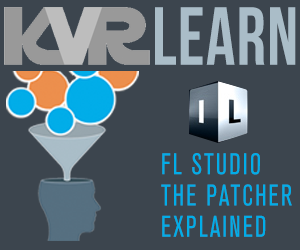 It functions as an Audio Units Plugin. 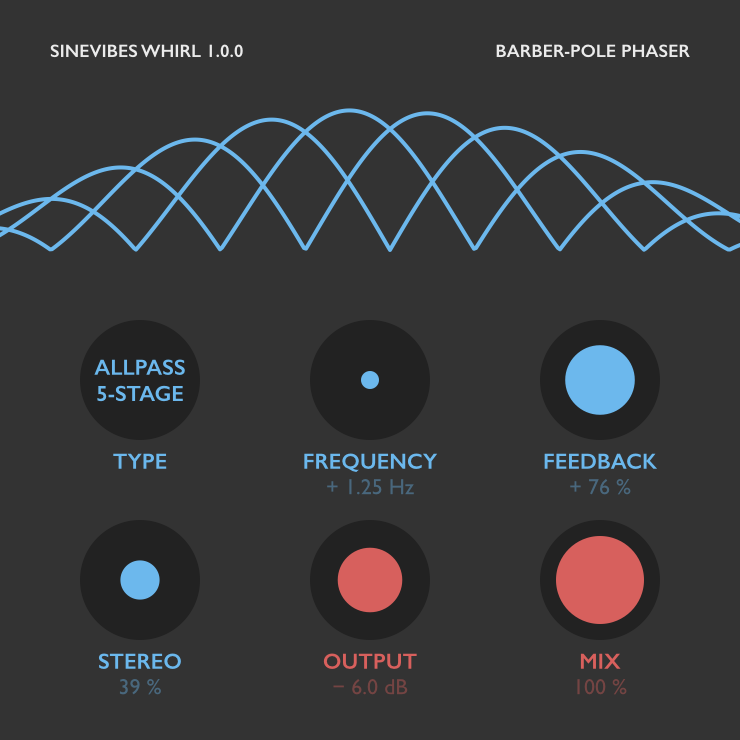 Whirl is a plugin for creating "barber-pole" phaser effects – with spectrum sweeps that go upwards or downwards in a seemingly endless fashion. It includes two distinctly different modes: first is a classic phaser based on the Bode frequency shifter that creates dramatic, wide-range spectrum swirls. Second mode is our unique development: a barber-pole all-pass phaser which uses three sound layers coupled with six modulation oscillators, producing a much more full-bodied effect with distinct resonant peaks. Both phasers in Whirl employ "through-zero frequency" modulation design for silky smooth transition between upwards and downwards sweeps, plus they can have negative feedback for a more unusual, artificial character.